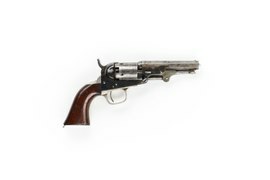 Colt 1851 Navy with powder flask. 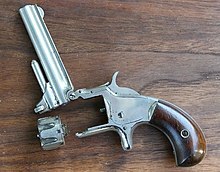 Front reloading a cap and ball pistol. 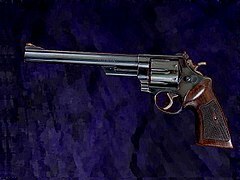 Remington Model 1858 replica made by Pietta. 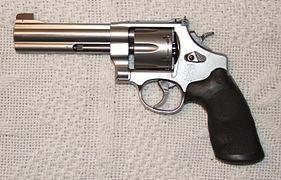 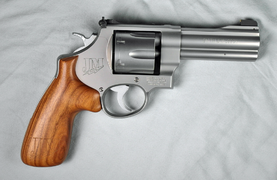 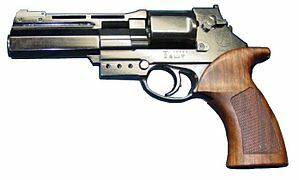 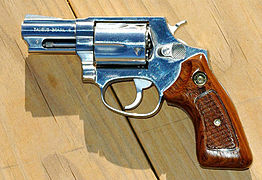 Smith & Wesson Model 625JM, as designed by Jerry Miculek. 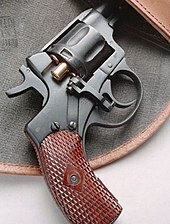 Colt 1849 Pocket Model, made 1850-1873. 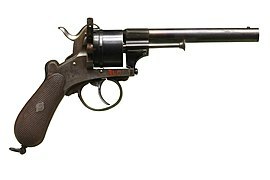 North American Arms (NAA) mini revolver in .22 LR. 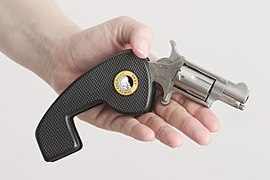 It can fold into its own grip for safe belt clip carry. 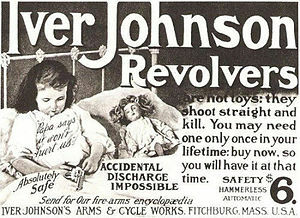 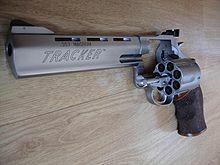 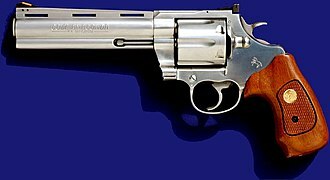 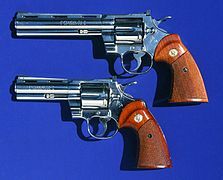 Wikimedia Commons has media related to Revolvers.